Am I finally on my way to being happy/loved like I deserve, or is it all a lie? Receive free psychic insights about your life from our community members and our students - 29646 Members as of today! 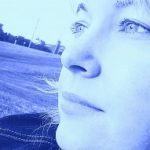 Main › LifeLeap Café › Free Psychic Questions › Am I finally on my way to being happy/loved like I deserve, or is it all a lie? janie 1 year, 6 months ago. Born on August 10th, 1998. Born in the city of College Station at 9:32 AM. The person this question involves is Austin Bjorgo. Born on May 23rd, 1996 in the city of El Paso, time unknown. I don’t know if the above information will help anyone, but I figured I’d include it anyways. Austin and I met in 2014. He just so happened to be in the county jail with my uncle. My uncle was looking at pictures that my family sent him, and Austin noticed a picture of me. Which, he ended up thinking I was really cute or whatever and started talking to my uncle about me. Turns out, we went to the same school the whole time. I mean, I never really went but he said he had remembered seeing me because he had a crush or something. My uncle ended up telling me to add Austin on Facebook, and we started talking immediately when he got out of county. Austin was still in school/a foster home at this point. He was well protected and taken care of. He had emotional issues, such as depression, but he was an incredibly good person. I grew really attached to him, really quick, honestly. Well, the feelings ended up growing stronger. We were basically best friends. I knew I liked him, though. I was going to tell him one day, but I just ended up finding out that he had just recently entered a new relationship and I had missed my chance. Well, that relationship lasted about…seven to nine months? I’m not sure. I also ended up getting with someone in early 2015. Both of our relationships had ended up pretty much going south. He broke up with his girlfriend of the time, but I was still with my boyfriend of the time…as much as I was dying to be free, I was being emotionally/physically abused and felt stuck. Austin was all I had to keep me on my feet. So, in about September/October of 2015…I ended up cheating on my then boyfriend with Austin. This became a monthly thing and we got even closer than we already were. I noticed a change in his attitude/demeanor, however. I just brushed it off. To be honest, I wish I had paid more attention to him. Well. I finally got out of that abusive relationship in April of 2016. Who was the first person I went to? Austin, of course. I moved in with my grandmother shortly after the break up with my ex…due to the fact I couldn’t afford to live on my own, my ex-room mate tried to sexually assault me, and I had just gotten out of the hospital for a suicide attempt. I only lived with her from about May 1st to the middle of May, and then I moved in with my best friend. Things didn’t work out here, however…so around mid July, I moved back to my grandma’s. I didn’t leave this guys house for about two weeks. I refused to be alone. I knew for a fact that I loved AUSTIN. Not the guy I was forcing myself to be with. Austin ended up randomly calling me one day. He was freaking out because I had promised him that I was gonna be back at my grandma’s at that point. I felt so bad. I invited him over to this guy’s house. Everything was fine, but he seemed upset. Later on, when he left…that’s when all the truth came out. He had known I loved him. I told him like every day. I spoiled him to the max. Well, he blew up my phone when he left. He began telling me how I abandoned him, and how he was so in love with me the whole time, etc. I just sat there, phone in hand, staring at this disgusting guy I was stuck with…wishing I could just be with Austin again. Time goes by, and my boyfriend at the time started getting pissed off because Austin kept messaging/calling, basically begging me to come be with him. My boyfriend went off on him. So, we all met up to “fight.” I was pissed. I get to where we decided to meet, and I’m literally expecting Austin to just start wailing on me. All he did, though…was grab me, kiss me, and tell me he loved me. I went off on him though. “How dare you kiss me in front of my boyfriend? !” I was an idiot…and then I got punched in the face. Austin ended up getting into a fight with my BF afterward. BF was all trying to be Mr. Macho Man, ended up almost getting killed. Austin found me later on after he fought him, and we kissed again and I kinda just sat on the ground…mind blown from what had happened. Well, I ended up staying with the BF. It was miserable. I was miserable. All I thought about was Austin. Austin had stolen my vape and 3DS when he was living with me. I hated him for it. I was pissed, after all I had done for him…he stole from me. I ended up checking Austin’s record in June. I realized he had gotten arrested again in March. Then it hit me…He had been telling me for SO long that he KNEW he was going to get his probation revoked. For one, he was homeless…and that wasn’t allowed. Two, and this ties in with everything, but he couldn’t pass the drug tests. I just refused to believe it. I wanted so bad to schedule a random visit to go see him. I was just so scared. I didn’t know what to do. I ended up just being a coward and watching the status of his case from the internet. Well. In June, of 2017, I finally got some courage. He had already been sent to prison, so I had missed my chance to go visit him…however, I found out what prison he was in and stuff…and I wrote him. A few weeks went by. I didn’t get a letter or anything. This random number popped up on my phone one day. It was a text. The text basically read, “Is this Desiree? Austin told me to text you. He wanted you to know he got your letter. He said you’re always on his mind, 24/7, and he loves you very much. He wants you to set up the phone so he can call you.” Well. The phone process was terrible. I still, to this day, do not have a way for him to call me. Hopefully I will in a few days. Anyways. I wrote him small letters every so often. At the beginning of August, I put some money on his commissary. I figured just $10 wouldn’t hurt, and it’d let him buy some envelopes/stamps. I ended up getting a letter back on around the 14th of August. I was terrified to open it. I was extremely paranoid that the letter was going to be him just basically cussing me out. Well. I broke up with my abusive ex again, around the time I received that text from the lady relaying the message. My ex is still obsessed and refuses to leave me alone. I haven’t spoken to the ex from 2016- Feb of 2017 since the day we broke up. I don’t know what to do. I want to believe that I finally deserve to be happy. I want to believe that I can finally be with the man I’ve wanted to for so long. I want to believe that I can trust him again…that he’ll stay sober..that he loves me like says so much in the letter. I can’t help but have the constant paranoia however, and my ex just makes it worse and worse every day. Austin calls me “baby girl” surprisingly now. He always refused affection & only called me Dez back in 2016. I almost exploded when I saw him call me baby girl for the first time. Even better, it was in his hand writing and his name was signed all fancy drawn at the bottom. I wrote him a four page letter and sent it off on the 21st. I don’t know if he’s gotten it, however. Hurricane Harvey hit Texas about two days later, and apparently the prison he’s at flooded and all that extremely bad. I’m honestly worried sick about him and I’m praying as much as I can that my house phone gets verified so that I can finally hear his voice again. Please, just give me some help, y’all? Is he worth my time and patience, or is he just going to hurt me in the long run? I know for an absolute FACT that I’m STILL in love with Austin, even to this day. I told him when he just had suspicions that he was going to prison…I swore that I’d wait for him, not mattering how long the wait was. I have been having “visions,” I guess you could say. I keep imagining us going through life together. My “visions” are basically just a fancy way of describing that I have been dealing with lucid (audio & visual) hallucinations about life with Austin. They’re all happy though. Considering my hallucinations are normally terrifying for me, this is new…but it makes me happier than ever. The last “vision” I had…I was cleaning around a little apartment. There was a little girl making a bit of a mess in the bathroom, just playing. I yelled out, “Austin, your daughter is making a mess! You better get her!” And I just turned to my “daughter,” and said, “You’re my silly monkey, Amara.” I came out of it after that, teary eyed and slightly disappointed that it was just a hallucination. I just need some help, y’all. I want to be loved the way I deserve. I want to love him the way he deserves. I want to have a home with him. A car, one or two kids, maybe a little pug. I wanna be Mrs. Bjorgo. I want to give him the family he never had. I will understand completely if I receive any negative responses. As much as I’d adore to hear that everything will be okay, the truth is what I need…or at least some advice and hopeful/real/blunt words. I can still hope for the best though, right?